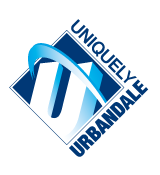 It is the policy of the Board of Directors of the Urbandale Community School District to provide facilities that aid in fulfilling the mission statement and enhance the educational goals and objectives of the District. The Board of Directors shall have final responsibility for the selection, purchase, lease and disposal of school sites, for the purchase, lease, construction, remodeling, and disposal of school buildings, for the approval of plans, specifications, forms of contracts and estimated total cost and budget of improvement projects for the authorization and acceptance of bids, for the payment for work performed on contractual agreements, and for final acceptance or rejection of work done. Unless the Board votes otherwise on a specific project, the Board grants authorization to the Superintendent, or his/her designee to approve change orders up to $5,000. The Board of Directors will be subsequently notified of any authorized change orders. The Board of Directors will be notified in advance of change orders totaling $5,000, but less than $10,000. Change Orders in excess of $10,000 shall first be approved by the Board of the Directors. The Superintendent shall be responsible for organizing and coordinating the efforts of the various individuals and groups to best achieve the established educational objectives in the building program and for making resulting recommendations to the Board of Directors.